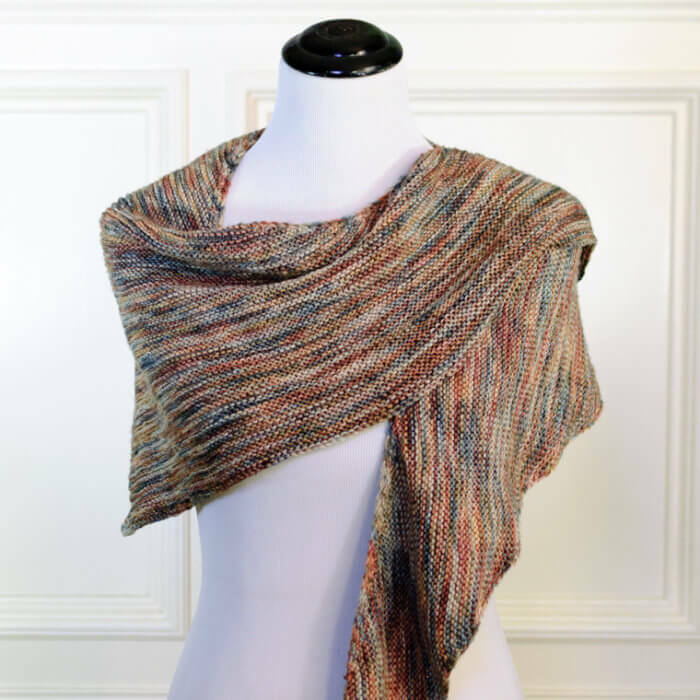 This easy boomerang shawl knit pattern is great for beginner and advanced knitters alike. 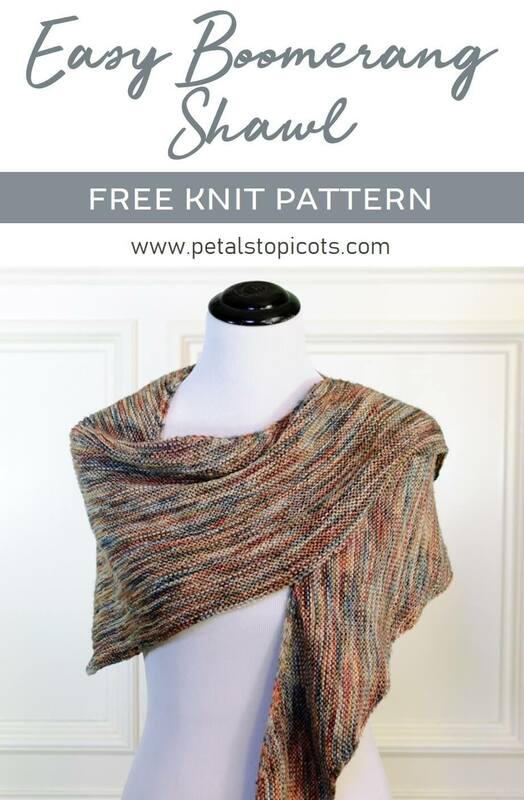 The pattern is worked with a 2-row garter stitch repeat making it a simple yet enjoyable knit. It’s especially great for showing off that extra special yarn you’ve been saving in your stash. I used Manos Del Uruguay Feliz here and love how the pattern shows off all those gorgeous colors! 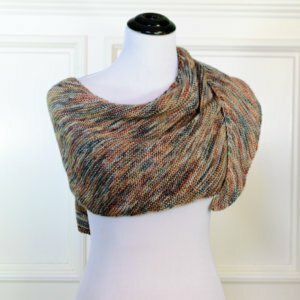 As the name implies, boomerang shawls are shaped like a boomerang and therefore have a nice curve that drapes beautifully around the shoulders. And since this shawl is worked in garter stitch, it’s also reversible, making it even easier to wear. I have also included a video below for those who may be new to, or just need a review of, some of the stitches and techniques I used in this pattern. Click here to reference other basic Knitting Abbreviations. The finished size as written is approximately 62 inches across and 16 inches long blocked. 21 stitches = 4 inches. The first stitch of each row is slipped to give a nice finished edge. The shaping is done on the odd numbered rows. It may be helpful to place a stitch marker on the right side of your piece to remind you to make the increases and decreases. Row 1: Sl1wyf, kfbf, k2tog, K1 – 6 sts. Row 2: Sl1wyf, K across – 6 sts. Row 3: Sl1wyf, kfbf, k to last 3 stitches, k2tog, K1 – 7 sts. Row 4: Sl1wyf, K across – 7 sts. Row 5 and on … : Repeat Rows 3 and 4 until shawl measures 62 inches long or until your desired size is reached. Knit bind off (make sure to watch my video below on how I do a super quick and simple bind off with a crochet hook … by far one of my favorite tricks!). Fasten off, weave in ends. Block shawl to shape (see How to Block Your Knit and Crochet Items). Ready for your next knitting project? Try out my beautiful knit scarf pattern or check out all my free knitting patterns here?